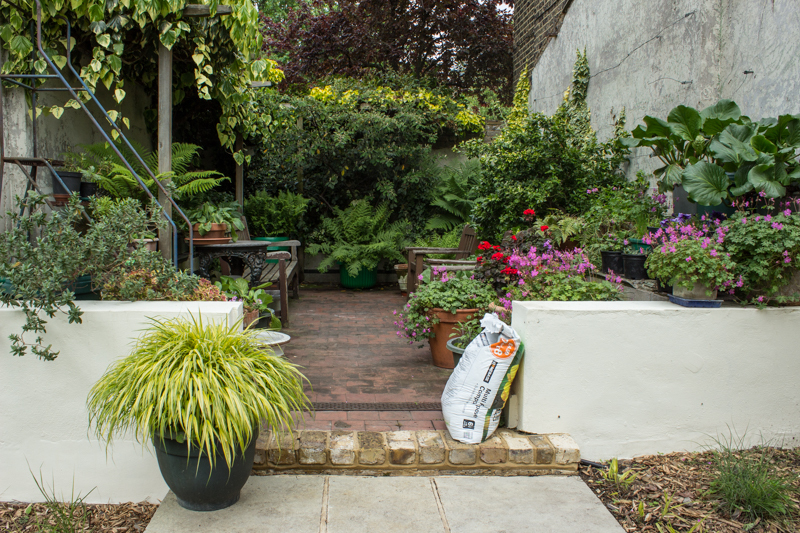 I have tidied the ‘fernery’ but now it needs replanting, and I think there should be more ferns and fewer pink geraniums, which I think are Geranium Macrorrhizum ‘Bevan’s Variety’- perhaps I could find them a corner somewhere. I need to identify my ferns and I think some may need repotting next spring. 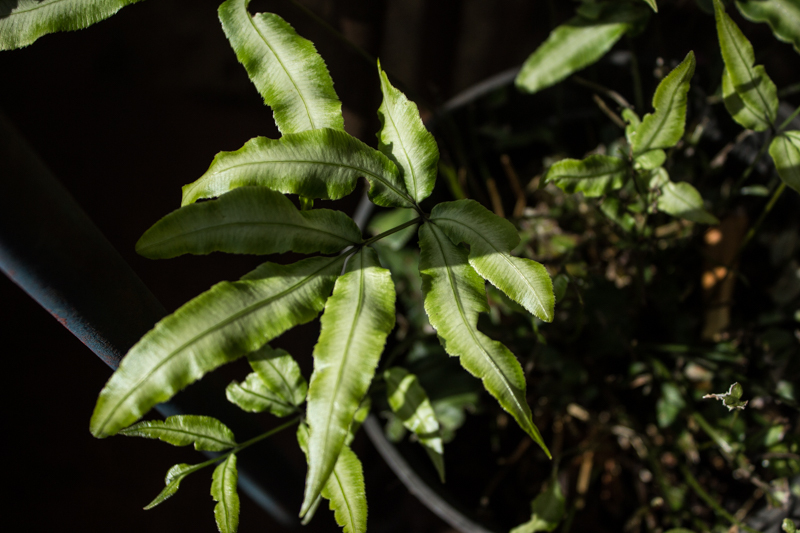 This fern is bursting out of its pot – I think it is Dryopteris Affinis – am I correct? And could I also have Dryopteris Affinis ‘Cristata’? 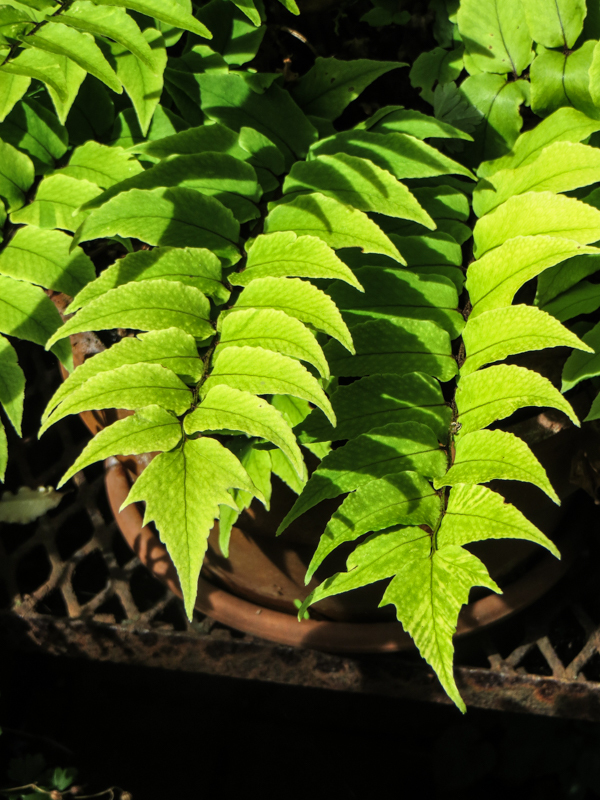 And could I also have Dryopteris Affinis ‘Cristata’? 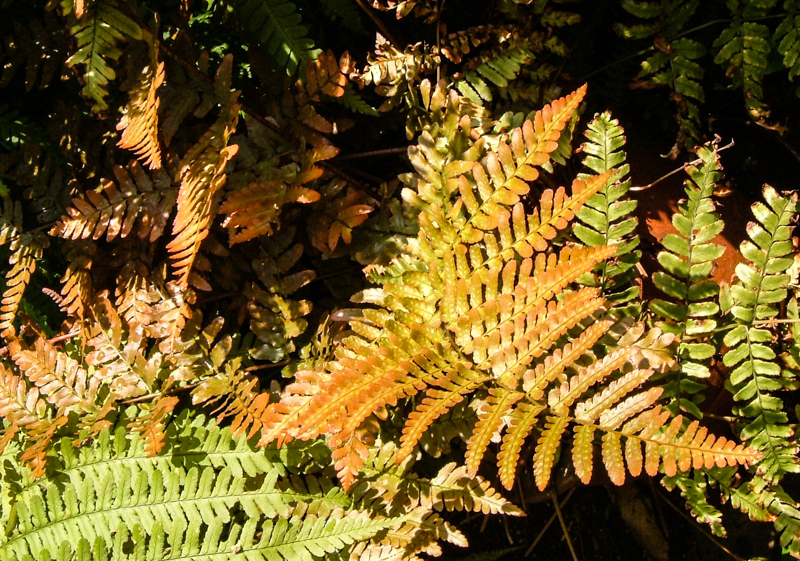 A stiff, upright fern which is not evergreen – could this be Polystichum Setiferum ? 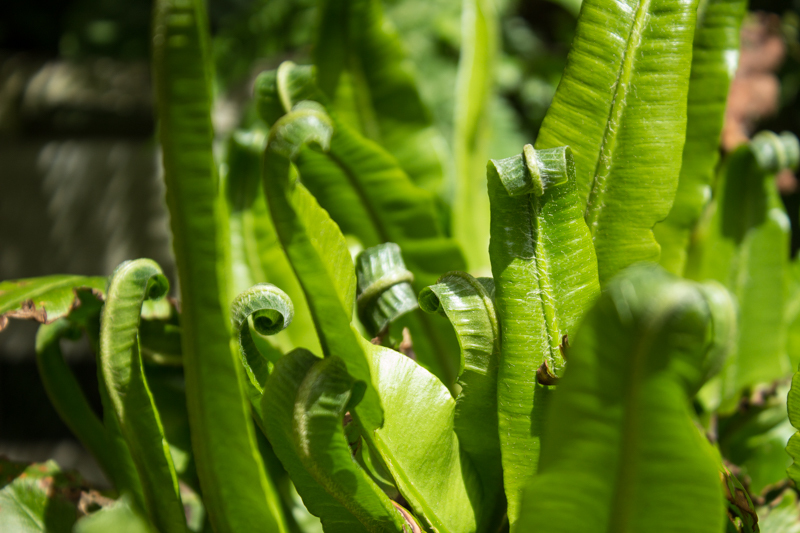 Aspleniums are hardy ferns and this is Asplenium Scolopendrium, but would like to try one of the ‘frilly’ varieties – Asplenium Scolopendrium ‘Cristatum’. Cyrtomium Fortunei has returned to London from Suffolk where it was swamped by Dryopteris Filix Mas. 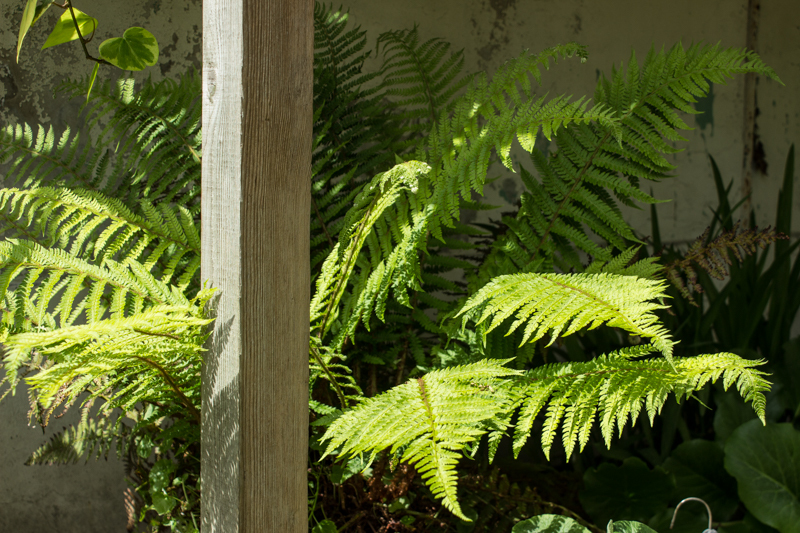 Dryopteris Erythrosora (the Japanese Shield Fern) is tucked into a corner and needs a more prominent spot. And finally, in another corner and somehow surviving the winter and the builders is this little plant…?